Here is my "collage" of the 30 paintings I completed this month. In truth, I actually painted Thirty-nine paintings in January if you count each canvas, i.e. 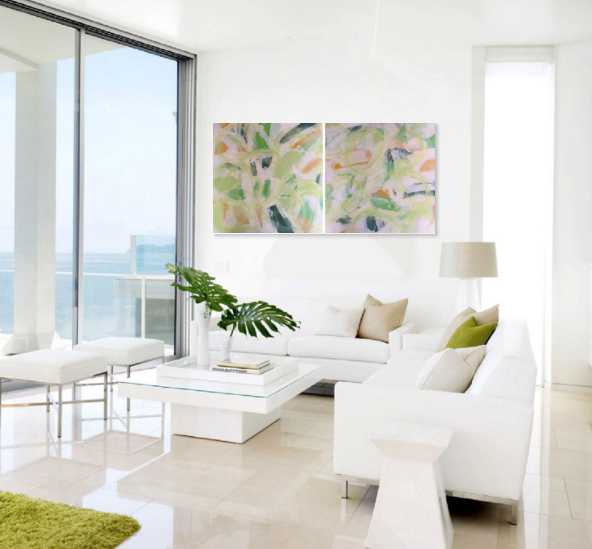 a triptych equals three paintings. I cannot believe I pulled it off. I decided to create my collage using the photos of my paintings in the room settings. I love them! Thanks to the 1403 artists who painted with me this month. You rock! Continue to paint. But do it on your own schedule and take on some new projects and challenges. You deserve it! 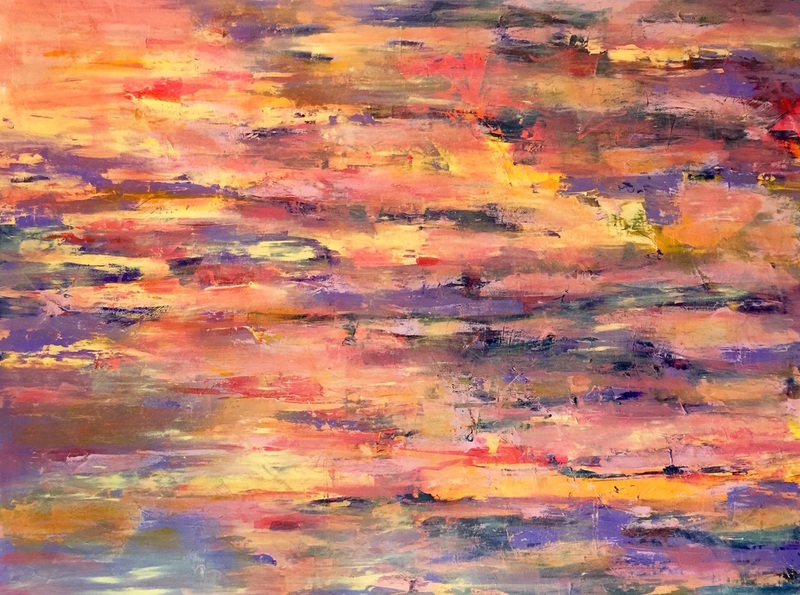 Abstract Acrylic, 30" x 40"
I have thought long and hard about what was my favorite part of this month's challenge. Aside from painting every day, it has to be my continued love for painting abstracts. Painting big, painting with acrylics, following my heart and having fun are the best ways for me to describe the last 30 days. I am so lucky! This is the time for all of us to build upon what we have accomplished this month. Whether you painted five or thirty paintings, it doesn't matter. We have all learned something from painting more often, from blogging everyday and sharing our art on Facebook. The results have snowballed and have been amazing. Many of you told me that you have already blogged more times this month than the entire year. Most of you have found a way to leave "the stuff" behind so when you enter your studio it's all about painting. A lot of you are painting faster and are no longer struggling to find inspiration to paint. Most of you are painting better. It's been a great 30 days and I thank you each one of you (all 1403) for joining and inspiring me to paint every day this month. Tomorrow we will head back in to our studios and paint some more. We will continue to push ourselves out of our comfort zones and take some risks. We don't need to feel rushed and we don't need to ignore our families anymore (haha). Just paint what you want, but take a little more time to build on the momentum you have created these past four weeks. Tomorrow I will post a collage of all of my 30 paintings. I would like to invite all of you to also post your collage on my blog on January 31st. I create my collages with an on-line program called picmonkey. Just go to PicMonkey and select "create a collage". You can use one of their designs or you can design your own. To make a collage with 30 photos you will need to design your own (or you can use their template titled "Square Deal" with 25 spaces and just add the additional ones). Then you can drag your uploaded photos in to the collage until you are done. (When you drag in a photo, you can see where to place the photos as you move them around. If you move them around carefully a small gray bar will appear and you can create columns and rows by adding more photos.) One suggestion I have for you is to be sure to use lower resolution photos as it won't upload very large file sizes. If you try to upload all 30 and it won't do it just re-size your photos until it works! It's a fun tool to use. You can change the width and color of the grid lines between the photos and then save the completed collage as a jpeg on your computer. Please post your collages on tomorrow's blog! And it doesn't matter how many paintings you completed. 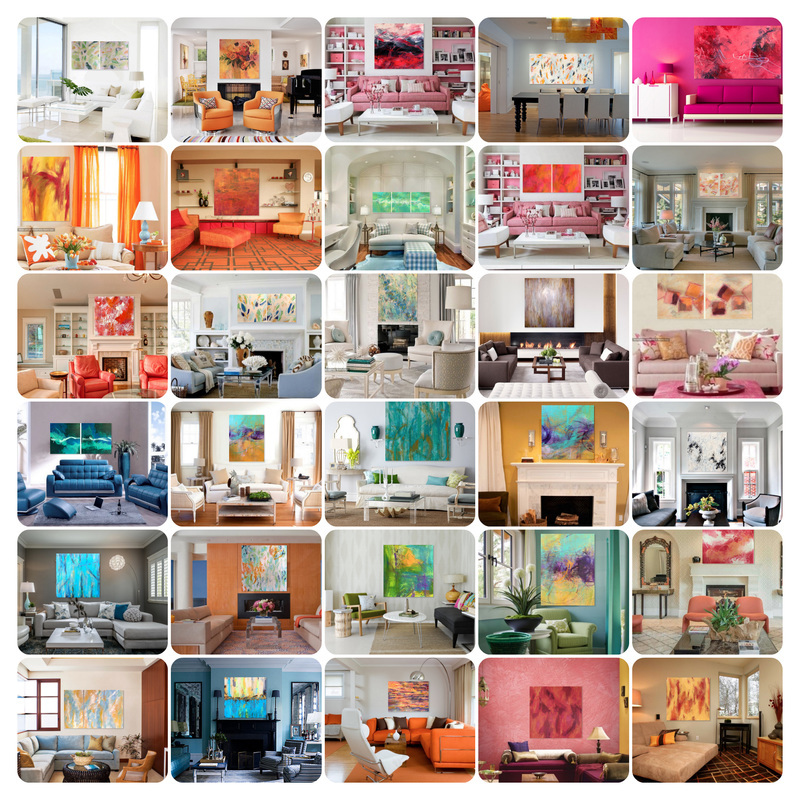 Just create a collage to show off all of the paintings you created this month. I love painting these colors! I used three shades of green and gold. I covered almost all of the canvases with the colors. Once they dried I started adding layers of off-white and more layers of color. Then I just kept painting more layers. Eventually I was happy with the finished painting and put down my palette knives. It was finished! I cannot believe there is only one day left in the challenge. I am so sad! It has really been an incredible month. Crazy busy but motivating at the same time. Tomorrow I will post the instructions how to create a collage of all of your paintings from the 30 in 30. And then you can post your collage here on my blog on January 31st! I can't wait to see everyone's paintings all posted together. It will truly be an amazing art show! Welcome! This is the page to post your paintings everyday for the 30 Day Challenge. If you need help on how to post, please go to the HOME tab above. 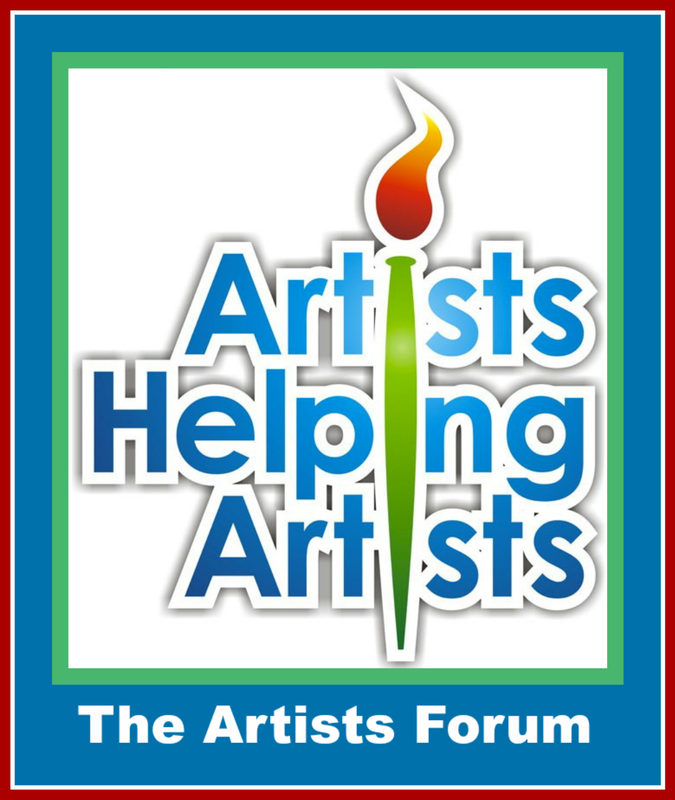 Click on the AHA Artists Forum link above to share with other artists your good news, ask questions and discover common interests. 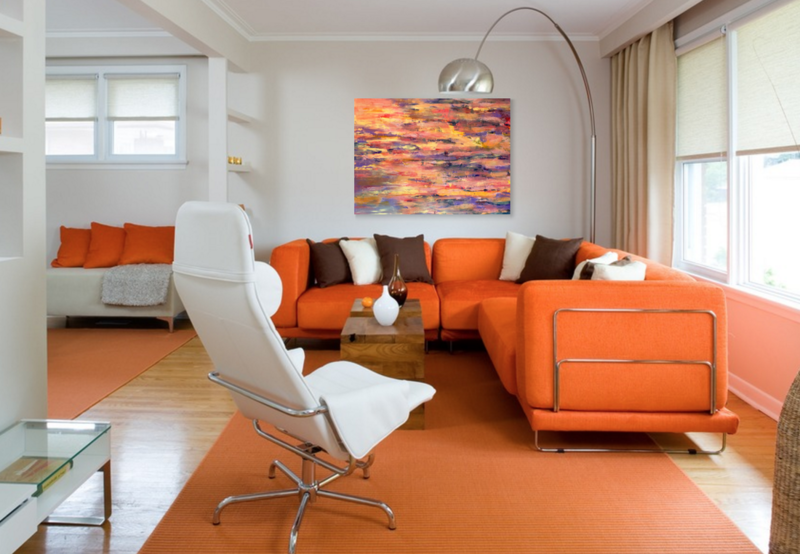 I love to paint fresh and colorful paintings with a palette knife.